Incorporated in 2005, Global Tax Free is the first Korean company providing tax refund services to foreigners. It has since grown into a well-recognised tax refund identity internationally, with expanding presence into Japan and Singapore. 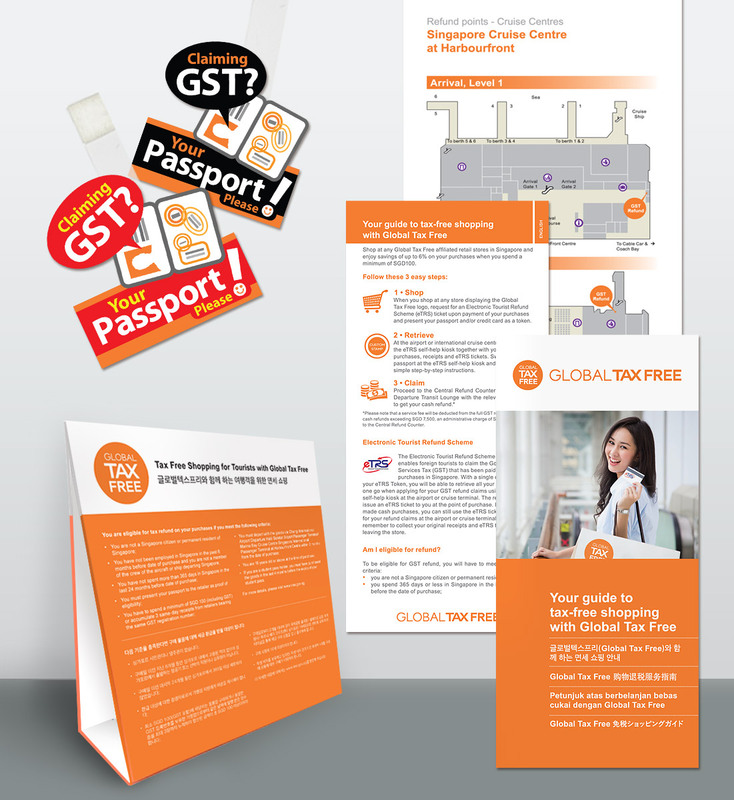 A series of corporate collateral for Global Tax Free's business launch in Singapore was needed to help customers understand the tax refund process and to enhance its visibility at essential check points in major airport terminals and Cruise centres.